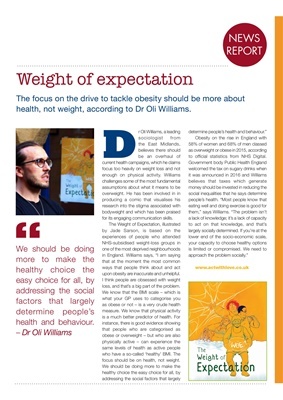 health, not weight, according to Dr Oli Williams. for its engaging communication skills. upon obesity are inaccurate and unhelpful. loss, and that's a big part of the problem. focus should be on health, not weight. determine people's health and behaviour." to official statistics from NHS Digital.